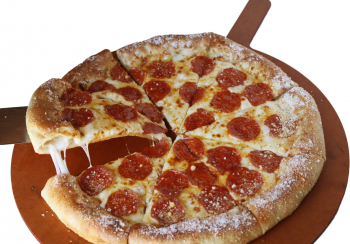 Buy this pizza franchise for sale in NC. Strong earnings, low rent and opportunity to grow sales beyond $450,000. Pizza plus drive thru across from a high school! Can't miss opportunity offered by We Sell Restaurants. 15 Miles outside of Raleigh. Newly Remodeled. Strong year-over-year sales and profit growth! Americans eat approximately 100 acres of pizza each day, or 350 slices per second. Want your slice of the pie? This profitable pizza franchise for sale is a winner. This unit is located just outside of Raleigh across from a High School! No one eats more pizza than teenagers! Surrounded by a large employment pool and loyal customer base. We all know, location is everything! Sales for 2018 are projected to exceed $450,000 at this pizza franchise for sale offered by We Sell Restaurants. An owner operator will bring home $55,000 with great potential to grow that number. Serving up delicious and fresh pizzas for the last 4 years has earned this pizza franchise for sale 4.5 stars online. Takeout and pick up orders drive sales for a pizza franchise like this one. Superior location on an end cap with a drive thru window AND across from a high school. It doesn't get better than this. Customers love the convenience. Rent this location for just $1635 per month! This fantastic location is 1200 square feet and has one year left on the lease with a 5-year renewal. The business is fully equipped to brand standards and all transfers to you. If you are looking for a pizza franchise for sale with great occupancy costs, strong brand and sales increases, this is the perfect opportunity for you! Not all brands are created equally!! This franchise for sale allows you to make menu changes. That's right -- you get the support of a big brand and the ability to craft your own business. Royalties are only 8 percent of sales for the use of their brand, their system, recipes and more. Marketing is less than one percent of sales and the franchise transfer fee is negotiable. Buying a brand and building the restaurant from the ground up can be expensive and stressful. Walk into this turnkey business that is making money today. Buy this existing profitable pizza franchise for sale and benefit from the work the seller has put into building the business. Hours Open: Sunday - Wednesday 11 a.m. - 9 p.m. Thursday 11 a.m. - 10 p.m. Friday 11 a.m. - 11 p.m. Saturday 11 a.m. - 10 p.m. Profitable Frozen Yogurt Business for Sale in Charlotte, NC - Franchise!